Pancreatitis can be a debilitating condition that results in overwhelming pain and malnutrition. Chronic pancreatitis in the United States results in more than 122,000 outpatient visits and more than 56,000 hospitalizations per year. Painful flare ups bring these patients in for help. The most common causes of pancreatitis and additional flare ups include alcoholism and obstructive gallstones in the liver that block the pancreatic duct. As a healthcare provider, I feel compelled to help these patients deal with their pain naturally and relieve the causes as best as possible. Many of these patients experience their lives being changed forever due to an inflamed pancreas and they go to the medical doctor to receive pain medication and told to consume a low fat and low salt diet. This leaves the patient severely malnourished. They may be pain free, but the effects of opioids, NSAIDs, and malnutrition make the body function decline drastically. Unfortunately, there is currently little research done on natural ways to overcome pancreatitis. However, this article will dive into the few natural strategies that have been proven to help control pain and increase nutritional absorption. The pancreas is located in the upper abdomen close to the liver and rests just behind the stomach. It has a connecting entrance into the duodenum of the small intestine. The pancreas is known for having exocrine and endocrine functions, meaning that it secretes hormones externally and internally respectively. The pancreas has a pancreatic duct, which runs along the middle of the pancreas and joins the common bile duct and enters the duodenum at the ampulla of Vater. This opening is surrounded by the sphincter of Oddi, which helps to control the rate at which the pancreas and gall bladder elicit secretions into the duodenum (1). There are three main enzymes, which hare high in protein content and an electrolyte-rich fluid, secreted by the pancreas in order to digest food particles. The secretion itself is alkaline because of the high concentration of sodium bicarbonate present in the fluid. The alkaline secretion enables the enzymes to neutralize the highly acidic gastric juice before it enters into the intestines. If the pancreas is not secreting enzymes correctly, the acidic gastric contents can go directly into the duodenum and become excruciatingly painful. Other enzymes are secreted to breakdown more complex foods, but these four are the main ones to be focused on. The secretion of these enzymes is stimulated by hormones produced in the gastrointestinal tract. Secretin is the major hormone that stimulates increased sodium bicarbonate secretion from the pancreas and the hormone released by the small intestine called CCK is the major stimulus for secretin. Both of these are located in the cells of the duodenum. As soon as gastric juices enter into the duodenum, the pH and contents stimulate the release of these hormones that cause the pancreas and gallbladder to respond with bile and enzyme release. The vagus nerve also plays a role in exocrine pancreatic secretion (1). The endocrine portion of the pancreas houses cells known as the islets of Langerhans. These are composed of alpha, beta, and delta cells. Insulin is produced by the beta cells, glucagon by the alpha cells, and somatostatin by the delta cells. These are the three hormones secreted internally by the pancreas that will be focused on here. Insulin’s function is to lower blood glucose by stimulating the uptake of glucose into the cells. Once it is pushed into the cells, it is either used for energy or stored as glycogen for later use. Insulin also promotes the storage of fat and protein synthesis. The level of insulin secreted by the pancreas is controlled by the amount of glucose in the blood. Glucagon has the opposite function of insulin. It is used to raise blood glucose by converting stored glycogen into glucose in the liver. Glucagon is secreted by the pancreas when blood glucose levels decrease. Somatostatin interferes with the release of growth hormone from the pituitary gland and glucagon from the pancreas. Both of these factors act to raise blood glucose levels while somatostatin acts to bring it down. Significant dysfunction of the pancreas must occur before enzyme secretion is impaired and inhibits proper digestion of fats and proteins. Normal pancreatic enzyme secretion is between 1,500-3,000 mL/day (1). As the body ages, or metabolic dysfunction ensues, there is an increase in the amount of fibrous material and fatty deposition in the pancreas. The rate of pancreatic secretion is decreased, which means decreased amylase, trypsin, lipase, sodium bicarbonate and other enzymes. This could be due to delayed gastric emptying and pancreatic insufficiency. These malfunctions can cause decreased absorption of nutrients and result in many deficiencies. Promoting dietary choices and supplements that help maintain a healthy pancreas is crucial for nutrient absorption and overall health (1). Pancreatitis is inflammation of the pancreas caused by the release of pancreatic enzymes into pancreatic tissue, which causes hemorrhage and necrosis. Hemorrhage means that there is excessive bleeding caused by tissue damage. Necrosis is premature cell death due to injury, disease, or lack of blood supply. Typically, enzymes are not activated until they reach the inside of the intestines where the environment is able to handle activated enzymes. Therefore, when these enzymes get congested and release into the pancreatic tissue, the enzymes begin to digest the pancreas and this is extremely painful. Most people are aging very poorly due to a number of lifestyle factors including poor dietary habits, exposure to environmental pollutants, medication usage, insufficient sleep, economic pressure and emotional stressors. These all impact the ability of the pancreas to function normally. There are approximately 5,000 new cases of acute pancreatitis in the United States every year. This can be a deadly attack; studies show that the mortality rate associated with acute attacks alone is 10 percent. 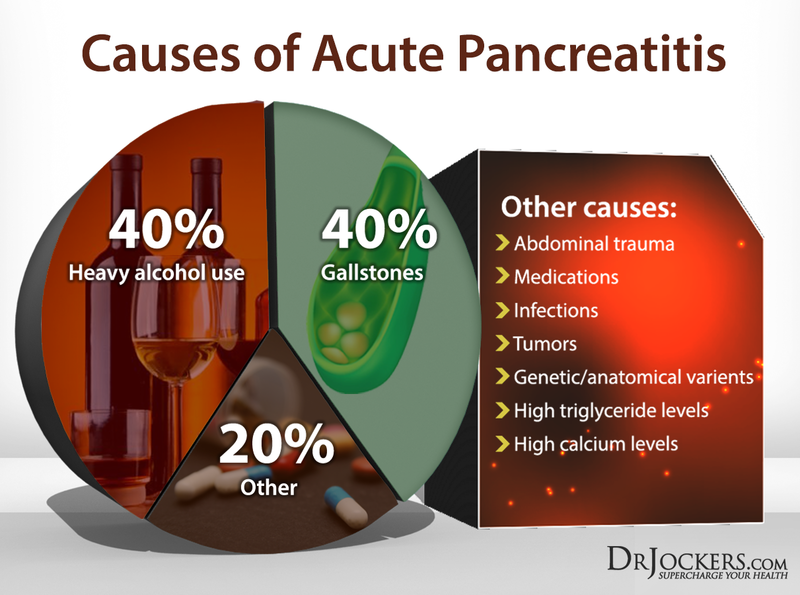 The etiology is not completely clear but alcoholism and gallstones are the primary risk factors for acute pancreatitis, but there are still 20 percent of cases where the cause is unclear. Gallstones can obstruct the pancreatic duct or cause bile reflux, which can activate enzymes in the pancreatic duct system and cause auto digestion, inflammation, swelling, and pain in the pancreas. Other causes include tissue ischemia related to trauma or surgery, pancreatic tumors, third-trimester of pregnancy, infections, elevated calcium levels, and hyperlipidemia. Medications that have associated with the disorder include thiazide diuretics, estrogen, steroids, salicylates, and NSAIDs (2). Acute pancreatitis is a medical emergency and help should be sought immediately. The damage done by digestive enzymes on the pancreas can quickly escalate into bleeding internally, dying tissue, edema, pressure in the abdominal cavity, congestion and failure of other organs and lactic acidosis. Treatment for acute pancreatitis is typically eliminating the cause, hydration and reintroducing food once the inflammation has gone away (2). Causes of chronic pancreatitis are less clear because they typically do not have classic manifestations of the disease. However, these patients do suffer from long-term effects such as hormone imbalances, enzyme deficiency, chronic pain, and nutritional imbalances. Common characteristics of chronic pancreatitis include chronic inflammation, fibrosis and dysfunction of pancreatic tissue. Currently, it is deemed by the medical field as irreversible and will eventually lead to pancreatic insufficiency. Alcoholism and malnutrition are the most common risk factors. Approximately 10-20 percent of cases have no identified cause. A genetic link has been made to a specific gene mutation associated with cystic fibrosis in these cases. Cystic fibrosis patients are likely to develop chronic pancreatitis as well. When chronic pancreatitis is related to alcoholism, the concentration of insoluble proteins increases in the pancreatic secretions. This results in the calcification of the proteins and plug formation that blocks the pancreatic ducts and the flow of juices (2). Other cases may be related to a stricture or stone that is blocking pancreatic outflow, which is known as obstructive pancreatitis. Recurrent episodes of inflammation will eventually lead to fibrotic changes to the tissues and loss of exocrine function, which leads to malabsorption and pancreatic insufficiency. When endocrine function is disrupted, diabetes may ensue. Treatment for chronic pancreatitis typically evolves around pain management and aiding nutrition absorption. Surgery is also an option. Patients are typically given opioids to control pain, which can worsen constipation. Non-steroidal anti-inflammatory medications (NSAIDs) are very common to give for inflammation. Most people believe NSAIDs are harmless. However, studies show that they damage the stomach lining, which leads to reduced protein absorption and a much greater increase for food allergens and stomach ulcers. Pancreatic enzyme supplements are usually given to help with absorption. H2- blockers and proton pump inhibitors are typically given to neutralize or decrease gastric secretions, which further worsens the ability for the body to digest and absorb nutrients. This also slows gastric motility and can worsen constipation. This also puts the patient at risk for developing infections due to the sterilizing effects of stomach acid (2). Low stomach acid levels are associated with increased risk of developing small intestinal bacterial overgrowth (SIBO), Candida overgrowth, B12, iron and zinc deficiencies. In addition, many individuals with low stomach acid develop protein malabsorption and leaky gut syndrome. There is little research to support the pathogenesis of pancreatitis but a new study has revealed that endoplasmic reticulum stress and calcium signaling could play a big role in this chronic disease. This finding has suggested the need for more research in this area (2). The endoplasmic reticulum is important organelle in human cells that plays a major role in producing, processing, and transporting proteins and lipids. It produces transmembrane proteins and lipids for its membrane and other cell components such as lysosomes, secretory vesicles, the Golgi apparatus, and the cell membrane. Without this functioning properly, proteins and lipids cannot be transported and processed properly in order to form different structures that are needed. Damage to the endoplasmic reticulum has been found as contributing factor in many chronic diseases and is now recognized as a contributing factor to chronic pancreatitis. Acute pancreatitis is caused by toxins that induce acinar cell calcium overload, zymogen activation, cytokine release and cell death, yet is without specific drug therapy. Mitochondrial dysfunction has been implicated but the mechanism not established. Eating a low salt and low fat vegetarian diet has been shown to decrease painful attacks (3). However, this does not provide the beneficial nutrients of fats and proteins and would leave the patient malnourished. Fats are a vital part of our diets for blood sugar stabilization, decreased disease, hormone production, cell production and protection, decreased inflammation, and overall function. A diet without quality fats is detrimental to our health. In addition, consuming anti-oxidant rich vegetables from the cruciferous family including broccoli, kale, collards, cabbage, cauliflower and watercress is very beneficial for pancreas function. I also recommend using broccoli and kale sprouts, which provide easily absorbable nutrients needed to support the pancreas. Using granny smith apples, lemons, limes and berries which are all loaded with anti-oxidants and tissue regenerative nutrients is highly recommended. Look to use as much anti-inflammatory herbs such as turmeric, ginger, cilantro, milk thistle, cinnamon, dandelion, parsley and cardamom whenever possible. One study was conducted to review the effects of a formula consisting of medium chain triglyceride (MCT) oil and hydrolyzed peptides on the pain associated with post meal pain for patients with chronic pancreatitis. The conclusion was that this formula minimally increased plasma CCK levels, which means that there was minimal stimulation of the pancreas. This proved effective for reducing the amount of pain these patients feel after a meal. MCT’s are fatty acids present naturally in coconut and palm oils. They are great for stabilizing blood sugar and increasing ketone production. 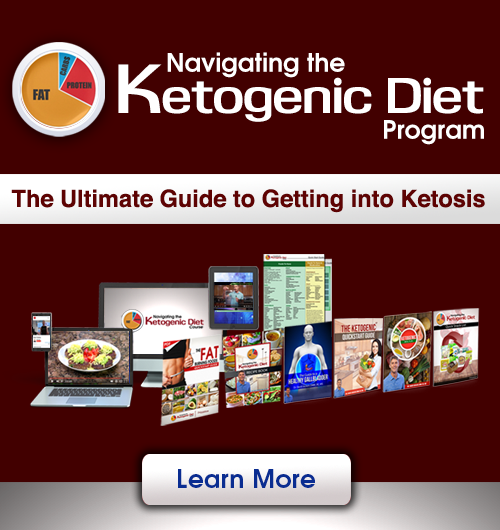 Ketosis is a state where the body is fat adapted and promotes decreased inflammation, steady blood sugar levels, weight loss, and optimal functioning. MCT oil is effective in reducing inflammation, improving metabolism, and enhancing cognitive function. They are easily digested and do not rely on bile to be excreted from the liver, making them great for people with mal-digestion and absorption issues (4, 5). If you are dealing with acute pancreatitis, then it is important to do a liquid fast with diluted bone broth, green juices, herbal teas and anti-oxidant extracts. It is important to go at least 3 days without any solid foods and absolutely no high sugar, protein or fatty foods. Solid foods put more stress on the pancreas and other digestive organs and will aggravate the symptoms. Some great herbs for improving pancreatic function include milk thistle, holy basil, ginger, dandelion and turmeric. These herbs can be juiced, found in many organic herbal teas and also in supplements. Drinking water with lemon, lime or apple cider vinegar and various herbal teas is strongly recommended to soothe the pancreatic duct. I also have my clients juice lemon or lime, ginger, dandelion, cucumber, celery and kale and make nutrient dense green juices. These help to naturally soothe the pancreatic duct and allow for optimal secretion of pancreatic enzymes. I have my patients rest as much as possible, stay hydrated with the recommendations above and use coffee enemas to help move out toxins and relax the pancreas and gallbladder. Hydrolyzed peptides are easily digestible because they are broken down proteins. Hydrolyzed means to be broken down by water. Collagen is the most abundant protein present in the body and provides the building blocks for connective tissue, the musculoskeletal system, skin, hair, bones, and joints. Vital proteins has produced a high quality collagen peptide that I recommend to my pancreatitis patients. Their sources are from pasture raised bovine hides to ensure a high quality product. Adding MCT oil and hydrolyzed peptides to a low salt and low fat diet may be the best way to get fat and protein introduced to these patients when they are struggling with pain (6). The diet should be advanced as tolerated to include more protein and fats to ensure adequate nutrition. Diluted bone broth protein and low doses of coconut oil mixed in with tolerable foods may be good beginning places for advancing the diet. Supplementation is extremely important for people struggling with chronic pancreatitis. A good systemic enzyme supplement should be used to help replace the lost enzymes due to pancreatic insufficiency (7). Systemic enzymes promote healthy neurological aging, healthy thyroid function, a healthy respiratory tract, central nervous system health, cardiovascular health, management of fibrocystic breast conditions, skin health, coronary circulation health, prostate and sexual function health, reproductive function health, urinary tract and kidney health, knee and hip health, joint health, anti-inflammatory health, and recovery from exercise. The systemic enzyme we use is called Proteo Enzymes and it can help with the pain, decreased absorption, and utilization of the nutrients that are absorbed. It should always be taken away from meals to ensure it dosn’t act as a digestive enzyme and instead has the whole body anti-inflammatory support we are looking for. Meanwhile, when you are having food, it is is extremely beneficial to take a specific digestive enzyme to help metabolize the food for absorption. This is absolutely VITAL for individuals with pancreatic insufficiency. This enzyme is geared specifically towards the absorption of carbohydrates, proteins, and fatty acids. These enzymes are also designed to survive the variety of pH levels throughout the gastrointestinal tract. Controlling pain naturally and optimizing nutritional absorption are the most important interventions for pancreatic patients. If optimal nutrition absorption can occur without overstimulation of the pancreas in chronic pancreatic patients, this is the best method for controlling pain and increasing nutritional absorption. Unfortunately, these patients may still suffer from nutritional deficiencies but these methods will help the patient get to their optimal potential for their situation. Each pancreatic patient and their pain should be handled according the individual’s needs. Most likely, no two pain control regimens are going to be the same or tolerated the same by different individuals. A review of studies came to a conclusion that antioxidant micronutrient therapy that supplied methyl and thiol proved effective for aiding in pain control for many patients. Many patients with chronic pancreatitis are deficient in antioxidants, which are vital for reducing free radicals and reducing inflammation. Using the herbs and foods listed in this article will provide the key methyl and thiol groups needed to heal pancreatitis over time. Here are the best action steps to get started with on your journey to prevent and/or beat pancreatitis. You should always consult with your physician before stopping or changing medications or taking on new health strategies. Additionally, you should be working with a functional health practitioner to help guide you through these strategies. 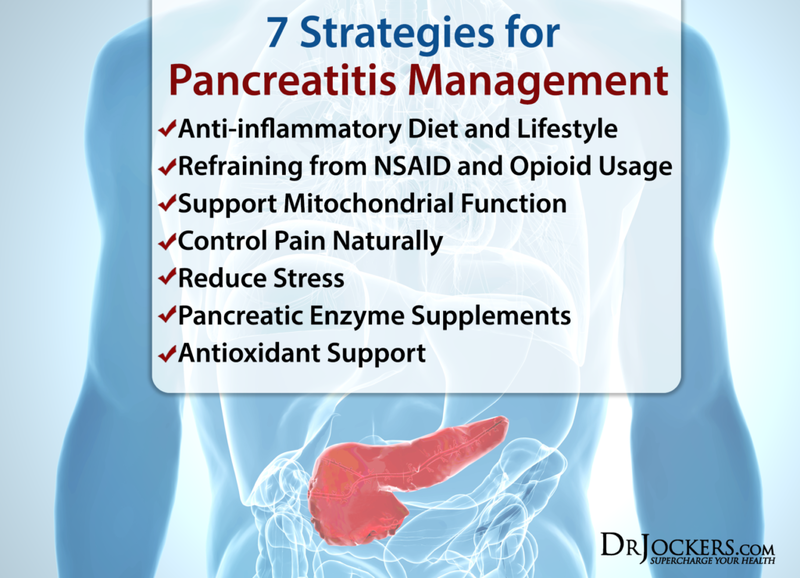 This is not an exhaustive list and there are other natural therapeutic strategies that I and functional health practitioners will utilize to help individuals with pancreatitis. 1. 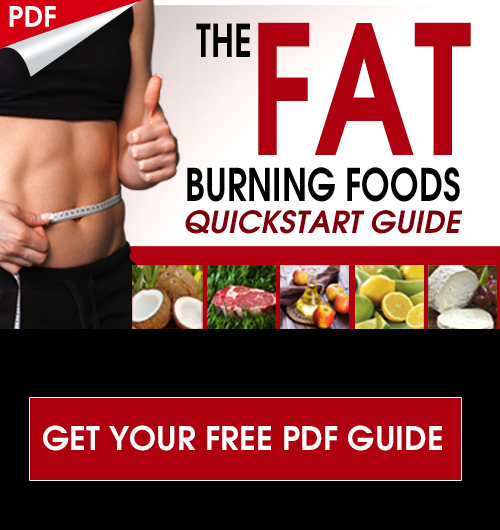 Anti-inflammatory Diet and Lifestyle: Follow an Anti-Inflammatory nutrition plan here and consider the auto-immune diet diet, both of which you can find here These nutrition plans eliminate sugar and processed foods and use an elimination diet that restricts the foods allowed and slowly reintroduces to see what is flaring up the symptoms. 2. Refraining from NSAID and Opioid Usage: Using medications to control pain may provide some relief but they only cause more long-term problems for the pancreas. If you are in extreme pain, you may need the NSAIDs or opioides but you will want to get off of them as soon as possible and begin following the strategies in this article to get well naturally. 4. Control Pain Naturally: Use a liquid diet and a wide variety of anti-inflammatory foods and herbs such as turmeric, ginger, dandelion, lemon/lime, cilantro, kale, parsley, diluted chicken broth and others. Systemic enzyme supplements can also be very helpful to reduce pain. 5. Reduce Stress: Mental and emotional stressors dramatically effect digestive juice production, resulting in less stomach acid, bile and pancreatic enzyme production. Stress also creates an environment for gall stone formation and pancreatic inflammation. Take 5 minutes and focus on doing deep breathing at least 2-3 times daily. In addition, use a gratitude journal to focus on what is going right (as opposed to what you are frusturated about) and walk outside in nature daily to reduce stress levels. 6. Pancreatic Enzyme Supplements: Using systemic enzymes between meals or during a liquid fast will help to reduce pain and overall bodily inflammation. This is a great strategy to improve the healing process of the pancreas. In addition, when solid food is introduced, be sure to use digestive enzymes such as Super Dzyme just before meals. Also doing things like chewing on ginger root and using a tbsp of apple cider vinegar in 4 oz of water about 15 minutes before the meal will help with enzyme production (9, 10). 7. Antioxidant Support: Using a wide variety of anti-oxidants can be very helpful with pancreatitis. You will get these from the foods and herbs I have listed for you to consume and also I recommend taking in extra vitamin C with bioflavonoids. I recommend using Super C, which has a 1:1 ratio of vitamin C and bioflavonoids which will reduce inflammation and tissue damage to the pancreas. For acute pancreatitis, I recommend 2 caps – 6 times daily, while with chronic pancreatitis it is best to do 2 caps – 3 times daily. 5. Shea JC, Bishop MD, Parker EM, Gelrud A, Freedman SD. An enteral therapy containing medium-chain triglycerides and hydrolyzed peptides reduces postprandial pain associated with chronic pancreatitis. Pancreatology. 2003;3:36–40. Please if you have lists of food or beverages to avoid I would love to see them . I am recuperating form a severe bout of pancreatitis and need gallbladder removable . Hey Joyce, so sorry to hear this! I would recommend sticking with liquid foods – vegetable juices, fermented drinks like coconut water kefir and protein shakes with coconut milk and a healthy protein powder. Good question All. It can be a little of both! Did you have your gallbladder out then? Just curious if you know what your triglycerides were at the time of the pancreatitis? Yes, follow the steps in this article Omar! Do you know what your triglycerides are at the times of pancreatitis? Interesting info about pancreatitis. I’m actually concerned I’m going through a bout as I text. I had it 10 years ago & had my gallbladder removed. I do not drink at all so that’s not an issue. I’ve had double hip replacements and am on heavy opiates that I don’t take as prescribed (I take less) 10mg oxycodone 4x daily 20mg OxyContin 2x daily. I’ve had 2&1/2 electrolyte drinks and 7 saltines in 2&1/2 days I’m getting worried but starting to feel human. Sorry to hear this Kathy. Strong medications such as what you are taking can cause this! I had my gall bladder remobed one year ago. I believe I am suffering from Sphincter of Oddi Dysfunction. Is this the protocol I should follow? I have also looked into the FODMAPS diet, and using mineral salts to alkalize the bile. What are your thoughts? Thank you. Hey Brianna, I am so sorry to hear about this! Yes, I would recommend following this protocol in the article. You can also see if you are having trouble with the higher FODMAP foods and doing mineral salts is a very good idea! Dear Dr. Jockeys, you don’t mention the enzymes essential for metabolizing meat and dairy. I consume raw milk kefir and grass fed organic meat. Does your product work in digesting these? Yes SuperDZYME will help in digesting both of those. It is going to be mainly protease and lactase that will be responsible for breaking meat and dairy down but there are others that are involved. It provides very thorough digestive support for different types of foods. Hey Donna I’m so sorry to hear about what you and your son are going through. I would start with the recommendations in this article. Also, you can email nutrition@drjockers.com for direct guidance on this! Do you know what his triglyceride levels are at these times? Please look up FCS (familial chylomicronemia syndrome and it’s support group on FB if they were high. Good day! Can this help my brother recover from pancreas cancer stage 4 according to d doctor. Pllleeaase help. Hi Jilda so sorry to hear about this! 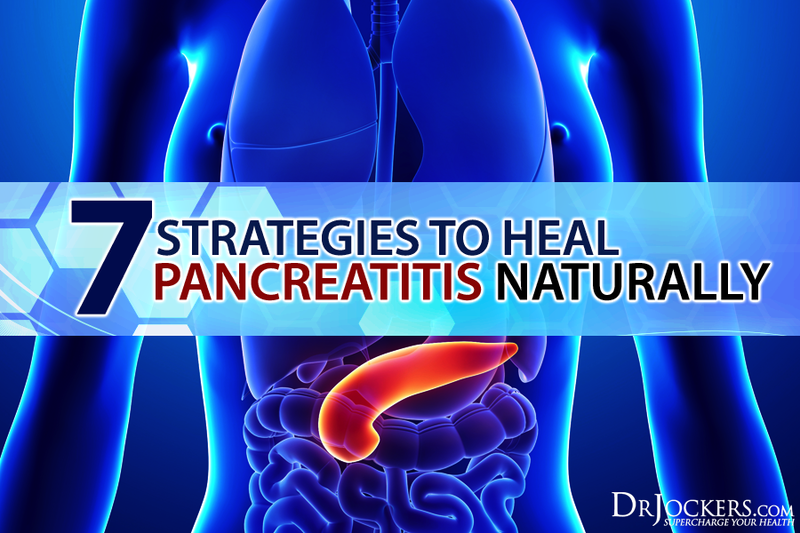 The strategies in this article will help support the pancreas and promote healing. Good morning. This probably a very silly question, but is it possible to have gallstones if your gallbladder was removed years ago? Hey Mary good question, it is possible for gallstones to form in the bile duct but it is very rare! My father had them in the duct very scary! Dr. Jockers I saw you in an interview with Ty Bolinger on the TTAC. Received some great information. Hey Theartis, I have not heard anything about hydrazine sulfate and the pancreas. For the past 6 years I have had pancreatitis it was bad because I was bleeding internally and they stopped it but i also had a very bad gallbladder that released infected gall stones which lodged them selves in my pancreas and cause allot of problem then I had major surgery and have since healed but every once am in a while I get bouts of pancreatitis and end up In the hospital. I stopped drinking and tried a better lifestyle but I still end up going to the hospital. Can you send some light on why this is still happening. Hey Jen I’m so sorry to hear about this! There could be a lot of factors involved here. Have you worked with a Functional Medicine Practitioner before? If not, you may benefit from going through some lab work and really figuring out how to support your body in your specific case. I’d say start with the strategies outlined above and email nutrition@drjockers.com if you want to dive deeper with this! What diet would you recommend for gastroparesis, My mother was just given this diagnoses after months of suffering and I would like to keep her as healthy as possible given her circumstances? So sorry to hear about this! She may also benefit from a Gut Healing protocol and certain supplementation. Get in contact with nutrition@drjockers.com and we can make a more individualized plan! I’m 38 and have been suffering from pancreatitis since 2003 due to increased rate of triglycerides, last time the rate was as high as 23. I have been on diet and medication ( lipanthyl/ befizal) yet I have several episodes that leaves me in the hospital bed most times. Pls how can you be of help to me, I’m giving up on the treatment I’m receiving, I need to try something else more efficient to reduce the rate of triglycerides. What would you recomnend? Thanks for the great info. I’m interested to know how your enzyme supplements stack up against ones available by prescription? Also, somebody mentioned mineral salts. Do you have any information about what these do and which ones are useful? I don’t understand the recommendation for a low salt diet. I find that the balance of stomach acid is a problem – too much burns due to the lack of alkalising fluid entering the duodenum and too little results in undigested food. Thanks again. It is my understanding the enzymes available by prescription contain a more narrow range of enzymes targeted towards protein, starches, and fats. The enzymes in my line are a very broad range of enzymes that can break down many different nutritional compounds. Mineral salts AKA Himalayan or Grey salt are naturally higher in trace minerals than conventional salts and healthier in general. Also we do not recommend a low salt diet, but this is often a solution given by doctors. I have been having pain in my leftside,after I eat.I dont have a gallblader.I think it could be pancreastic,My level are up 3 points.Should I be on emzymes? My husband has been sick for 10 months now and no one knows how to help him. At our local hospital they did three surgeries trying to fix what was wrong and he still hurts in the same spot. He is having to go to the Mayo Clinic in Minnesota for help and we live in Alabama! He has all the symptoms of pancreatitis, he hurts severely in his upper abdomen and it radiates to his back. He is nauseous most of the time and he can’t eat hardly anything. Thank you for all the helpful info…. Hey Lydia, have your worked with a functional medicine practitioner or functional nutrition practitioner? There could be underlying issues that have not been detected. Hey Deborah, Enzymes and Vitamin C can be helpful along with the other strategies outlined in this article. I had an acute case of pancreatitis we think was caused by lisinopril, my former blood pressure medicine. I started taking it at the end of September. By mid October I started having painful attacks of what I thought was the absolute worst indigestion ever. Interestingly, my white blood cell count was elevated but we thought that was a sinus problem. Each episode was worse than the previous and by January, I was in the hospital. CT scan confirmed pancreatitis. Ultrasound ruled out gall bladder issues. I don’t drink but maybe six drinks in a year and generally eat fat but not excessively. At the point I landed in the hospital, I suspected it was the medicine and thankfully, the gastroenterologist believed me. I found some similar case studies that supported it. The hospital switched my bp med to Amlodipine. That was the fifth of January. I was released on Jan 8th and have not had another attack of pancreatitis since. I don’t think it’s a super common cause of pancreatitis but if you’ve recently started lisinopril and suddenly have really horrible pain on the left that goes to your back, head to the ER and advocate for yourself. My main doctor in the hospital didn’t believe me, I think. I had an awful bout of what i assumed to be sinusitis after cleaning an old store room out late in my last pregnancy. Several weeks after delivery, i realised i had a “knot” just under my left ribs. When i sit or bend certain ways i can feel my ribs slipping over it. Usually it is not painful but sometimes it burns and the skin just above it has a burning itch. I rarely ever get heartburn, though i have noticed over the last couple of years it has slightly increased in frequency. I broke my tailbone 6 weeks into my first pregnancy, then subsequently traumatised it twice more within 2 months. I have frequent pain focused in the (back) hips and my “bowl” in the front- i.e. front and back, not localised to only left side and its well below the pancreas. I do have frequent nausea but again assumed it was because of pcos and possibly endometriosis. Would a severely enlarged pancreas show through, or is this maybe another organ? I am still breastfeeding, so i am concerned about what safe dx i can go through. Both echinacea tea and colloidal silver seem to help the “flare” but the knot remains. I am trying one last time to drink the echinacea tea daily (im awful with regimens) to see if i can get rid of it completely, but i need a backup plan and more insight. Any help would be greatly appreciated. Hey Teila, it is possible but hard to say for sure. You may want to consider working with one of our health coaches to put a personalized plan together! Hi Dr. – Great article. Is it good to take bovine pancreas supplement while having pancreatitis. My blood sugar is normal. Thank you. Hey John, I would recommend following the strategies in this article. I’m just wondering if it is safe. I’m looking in to your supplements for sure. They sound great. So are your enzymes similar to what Drs prescribe? My mother is 70 was diagnosed with Chronic Pancreatitis last year she got better after taking the creon for a while but since Sept she’s been in pretty rough shape. Drs seem to just blow her off send her to pain management and not try to see if there is anything else going on. So I’m looking to see what else I can do to possibly help her live a better life then what she is loving right now. Hey Jessica, they are super high quality and potency and I get great results with them! Is there any way I can get rid of my diabetes? Hi I’m 31 and very lean, active, healthy eating person. I was diagnosed with diabetes. My doctor says it was a virus that attacked my pancreas. My triglycerides are back to normal and im on a strict diet. Thank you for this article it is very helpful! If you want, you can send an email to michael@drjockers.com to get started on a one-on-one coaching plan. I was diagnosed first of November with acute pancreatitis. They have me on a no fat, low protein, low carb (pasta and bread), no sugar diet because I am also borderline diabetic. The pain is much better especially after adding digestive enzymes, however, I am exhausted all the time. Losing weight is the only side benefit of this. Is there anything I can do to regain some amount of energy? This sounds like a malnutrition diet Sharla. I would suggest adding in some healthy fats and moderate amounts of protein throughout the day even if in multiple small meals. Using MCT oil can be very helpful as well! Thank you for this great article. I was wondering if you would recommend a Ketogenic Diet for someone with autoimmune pancreatitis? I would follow the recommendations in this article Kamran. Thank you for such a great article with proper resources listed! I had my first bad pancreatic attack last October and have normal lipase levels now. I still get some pain after certain meals, my question is we are able to eat MCT oil? That would be great. Also, would you advise someone with acute pancreatitis to do the Keto diet? I am loving this article ! I take care of nonverbal DD young man . I am sure that this is what is going on with him now. He has epilepsy and so we have no choice but to give those meds . I am wondering about the enzymes for him . The meds cause major constipation . He has lost a considerable amount of weight. He is unable to communicate pain but I can tell he is in pain which causes more seizures. Would love to know your thoughts. I was told two days ago that my pancreas was inflamed. I have had zero pain. I stopped drinking alcohol on December 25th of last year and lost weight by avoiding overeating. I am now going through a 3-day fast before I start a new eating regiment and all I am consuming is water and herbal teas along with lemon and apple cider vinegar water. You talk about pain but as you know I have had zero pain and I believe my wrong and drinking alcohol behavior changes might have to do with this. Will intermittent fasts, which aid with inflammation of the entire body, be something to help control future pancreas inflammation? Anything specific recommendations for someone with no pain? We believe birth control pills were the main caused, My wife was diagnose with Pancreatitis back in December 2017 from one high episode of 825 Lipase her level has successfully doped to normal 28 but her Amylase is at 112 normal ranges from 3-100. At times she has a bit of discomfort and pain but we have decided not to take any medication at all. He weight was 129 and she is currently at a 119 how can I work on getting her Amylase back to normal and for her weight to increase as well as maintain pain levels in a balance. Thanks in advance I love my wife dearly and will like to help her in any way. You will want to follow the “Strategies for Pancreatitis Management” recommendations in the article above Shanika! Are vegetarian digestive enzymes as good as .creon!? How can one improve the quality and condition of ones pancreas? And can a gallstone in the duct be dissolved or removed to get back to normal function! Thank you Wendy Mason? My potassium level is 0.1 low. Hey Bernadine, following the strategies outlined above can help ensure this does not happen again! I am happy to find this website and all the comments. I would like to ask a question to Dr Jockers but I’m techno challenged. Where and how can I write my questions to Dr Jockers? I have been diagnosed with chronic pancreatitis with enlarged pancreatic ducts and tissue damage. I am not diabetic, do not drink and have a healthy diet. I found an article stating that the cause could be an overactive parathyroid gland which I had removed around 15 years ago. The doctor said it’s been there for many years without symptoms. I cannot eat very much especially proteins. I have done liquids for 3 days and am better for a couple of days then inflammation again. All the doctors I’ve seen are into very invasive tests etc. What I also found is the doctors keep looking to find things but have no treatments if they do not find cancer. Is there any light at the end of this tunnel? My son took the drug Amnestine (Accutane) for acne in college 9 years ago. He has had GI issues for years. We believe it the drug dries up mucus membranes and causes pancreatic insufficiency. He has pancreatic insufficiency, I should say. He has to take many enzymes including Creon, and Ox Bile. Recently someone suggested to take bitters and keep using bitters as in time they may stimulate the pancreas enough. I would like to know if anyone has healed their pancreas after using Accutane. There are so many kids out there that have been damaged in this way. It’s all over the internet if you google the right thing. What I am unable to find is if you can heal and how. How do you heal from this? He is 28 now and it breaks my heart what he’s been through. He takes so many supplements to keep his health up, cooks his own very healthy food, manages his stress etc. and still has random constipation or diarrhea which drain him. Who wants to be on all these pills at 28? I can’t tell you the money we have spent to try to get to the bottom of this! Thanks for any advice! WOWOWOWOWOW, I have only briefly skimmed your article but so far it is the MOST inclusive article I have seen on pancreatitis signs & symptoms & diet. Although diagnosed at the ER with very mild acute Pancreatitis the more I read the more it seems I had a chronic attack and all the previous thoracic shoulder pains I’ve continued to have since my gallbladder was removed were possibly really pancreatitis attacks. Before leaving on my cruise I will be sure to review this article THROUGHLY. Thanks for sharing that Dee! Blessings! Article was really useful and very brief. I am 46years old male chronic pancreatitis patient under gone with Surgery (Frey’s Procedure) in 2015 and I would like to hear from you and opinion for my current complications. Can I reach through any email id ?. comments by dr jokers are not helpful. Hi doc,I always have lain at my left side kf my adomen,I dont know if its pancreatitis or what.Also I git this headache like I am into anesthesia for quiet some months now,I am wondering it this gwo symptons are connected,please help. So sorry to hear this! Yes they may be related! In your nutrition plan, you only specify a few fruits. What about the rest of the common fruits, which are to be avoided? Acute pancreatitis here, no diabetes. Thank you. We try to avoid the high sugar fruits. But for example, mango looks very high in sugar content compared to many other fruits, and its on your list. Yes in general, we try to avoid too much sugar from fruit. Age 57, Gallbladder removed at at 23 (stopped functioning). Alcohol problem from age 12- 25..social drinker ever since. Pain in same area as gallbladder, feels very similar. Pain increasingly getting more frequent and worse if I have about two drinks, sometimes with no drinks. I have recently stopped drinking alcohol all together now. Lipase and amylase levels checked regularly (usually up) for past five years (since sister’s death pancreatic cancer age 57). Liver enzymes are fine. I am waiting for a specialist’s consult and possible ERCP. Hard to stick to a diet as have numerous food allergies and sensitivities. Questions: Can years of food allergies and sensitivities cause these types of issues? I certainly know alcohol can. So sorry to hear that Dee and yes years of poor gut function, food sensitivities and infections can absolutely be the root cause for gallbladder and pancreas issues. Got to say this is the most informative info I’ve found online. I was first admitted in hospital last October gallstone and gallbladder out. 2 weeks later back in pancraetis then a ultrasound showed a benign cyst on pancreas which I had to let grow for six week. Then had a stent put in unfortunately stent got logged in my stomach but my cyst had decreased dramatically in size. I always still get pains and niggles in my back I’m sure the cyst as grown back as its where it was before is this gonna cause another flare up please is there anything can do. 2) Hot Turmeric tea with a pinch of black pepper is my survival drink (black pepper shoots up the absorption of the turmeric). 3) Narcotic pain killers (morphine, hydrocodon) cause in my case spasm of the sphincter of Oddi which feels very similar to pancreatitis but lasts shorter period of time. However, when in the hospital stay for acute pancreatitis, narcotic pain killers extended my misery and lengths of stay. 4) Plant Based Diet significantly improved my condition and overall health.